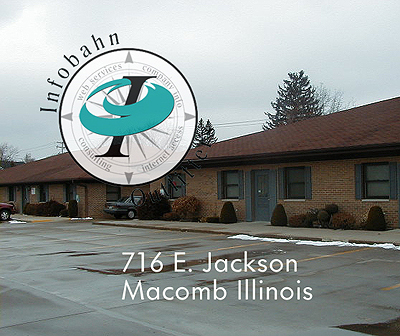 On Monday, March 5, 2001, Infobahn Outfitters opened at larger facilities at 716 E. Jackson St., Macomb. Our new office houses all personnel, including technical staff. Ample off-street parking is available and the site is handicapped accessible. A drop box is now available at our new location.